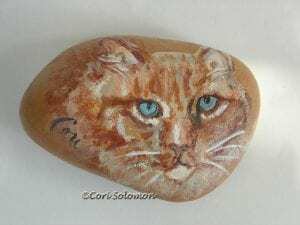 This acrylic art is created on a stone quarry rock. The smooth rock creates a nice surface to paint on. I painted a orange tabby cat with blue eyes. This was a commissioned piece of work.